How do you outline a novel? Outlining is a matter of dispute among writers, but if you are just starting out – what is outlining, why should you do it and how do you do it. This post is based on my research as I am currently writing my own thriller novel. I stalled in NaNoWriMo because I didn't have a plan, so now I embrace outlining wholeheartedly! Incidentally, outlining is used much more in non-fiction books e.g. creating a table of contents at the outset. It is not always used in fiction writing. It is basically the process of setting out the main events of your book and working out the plot from beginning to end. It can be a rough 1 pager on how it all works, or a series of post-it notes put into an order for writing. It can also be a comprehensive meta-document that you refer to throughout your book and keeps you to the point. It is basically planning your novel before you write. The point of outlining is to help you with the actual writing of the book. If you think through the plot ideas, the characters, the various arcs of the story and how it needs to come together, then the writing of it will be easier. Some people believe in organic writing only and still manage to write novels, but check out this post from Larry Brooks on climbing Mt Story. The metaphor of the climbers getting to the summit in different ways is powerful, and the planner gets there first. You know what to write next. There is no sitting around wondering what to write. When you sit down for your writing time, you know what to write about next. Or you can write a future scene that you have already planned out. You won't get so lost and end up down a blind alley with your plot. This is really important for those of us who struggle to find the time to write. If you only have a precious hour per day, make the best use of that time by knowing what you will write about. Change plot or incorporate new ideas. If you plan it out, you can see ways to enhance the plot and add in new ideas. As you research, you will know where to put them in or what to change. These ideas could be lost with organic writing. A living novel outline document can be morphing all the time. Find out the problems and holes in the plot or characters. Work out how things are meant to happen before time instead of as you write. This may enable you to see gaping holes in the plot or some problem with a character. Here are some more benefits of outlining. With an outline, you can follow it to the letter and add to it or you can change your mind along the way, but at least it gives you a head start. It doesn't have to be set in stone. Basic Document. Use Microsoft Word and just get it out onto the page. I am currently using this method. I have a table with the various chapters in which I have filled in with the key plot and action. I have a separate list of characters, themes, ideas and another document for research. I am basing this on Scott Westerfeld's Meta-documents post which I found very useful in NaNoWriMo. You could also use Excel for a more spreadsheet approach. Mindmapping. Use mindmapping to brainstorm in a non-linear fashion. You can mindmap on plot lines, ideas, characters and then organise the mind maps into a bigger picture. Write to each arm of the mind map. I found this useful for initial idea brainstorming but it is not detailed enough for me at this stage. The Snowflake Method by Randy Ingermanson. “Good fiction doesn't just happen. It's designed.” This is a great article describing the process using a snowflake metaphor. Start small and then expand on each area. Start with a 1 liner about the book, then a paragraph, then expand it out from there. This method is quite scientific and gives you a very extensive plan. Definitely worth a look if you are struggling or you are a person who already likes spreadsheets. Using software. Many people seem to like Scrivener as a tool for outlining and writing, but it is only for Mac users. Recommended by authors Justine Larbalestier and Scott Westerfeld among others, For PC users, some examples are Page Four or Liquid Story Binder. These tools still use the other methods though. They are just a different way of capturing and organising the material. Do you have any tips for outlining? How do you outline a book? I’m actually getting prepared to do NaNoWriMo this year (2013)! I’ve been looking for an idea on how to write an outline for a novel, because I’ve never written that way before, but I think I need to for this, otherwise, I know I won’t finish. So, thanks for this! That is a great article. Thank you. An outline is as you said and as others say. It is not one-good-for-all. I think that outlining is building your novel bone by bone so that you can fill the flesh in later on. Mind you, the bones are not easy to find and build and much less the flesh. One can outline if only she sees the whole events of the novel, which is the core and very difficult task. So, outlining itself becomes organic. You may sit on and on organically thinking about the events. If you complete the organic, then outlining is much less difficult. Planning and even scheduling your novel writing comes next. You can only plan the flesh filling. The bones are organic. Outlining in research is different and easier as researcher knows his thesis, which is not so in novel writing. In novel writing you create events and characters from nothing while in research you discover what is already there. 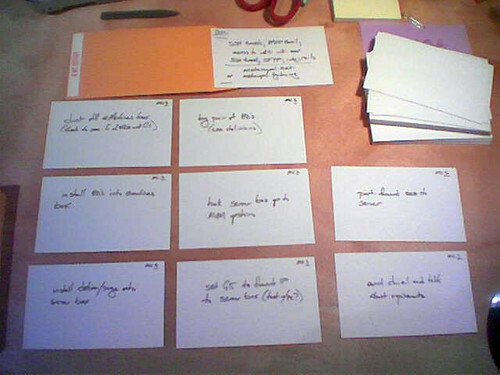 I honestly feel that I wouldn’t be able to write a novel without outlining it all first. The structure of my first novel was very important to the plot, and so I needed to have a clear outline – literally chapter by chapter – so that I wouldn’t get carried away and start taking the story in different directions. For my second novel, I created an outline but this time allowed myself to be a bit more lenient with this, and there were definitely times I deviated from what I had planned. Even so, I always had the outline document open so that I never strayed too far away from the premise and idea behind the story. The only exception to this is short stories. Sometimes I plan them, but most of the time I just sit at the computer, write, and see where the story takes me. I genuinely wish I could write novels the same way – it seems like a much more fun way of working! – but due to the complexity of all the various characters/story arcs/etc in a full length novel I just find it too difficult. You might want to update the article since Scrivener is now available for PC users as well as MAC.